The 2018 NHL Draft will take place this coming weekend in Dallas Texas beginning on Friday June 22nd with coverage of the first round, followed by rounds two through seven which will take place on Saturday June 23rd. 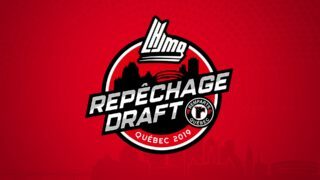 This year the Wildcats are proud to have three players ranked by NHL Central Scouting as projected picks; Alexander Khovanov, Anderson MacDonald and Jeremy McKenna. In the final NHL Central Scouting rankings of North American Skaters, Jeremy McKenna sits in the 162nd position. 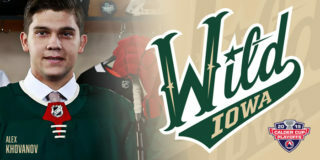 At 19-years-old Jeremy will be entering his third season with the Wildcats this coming September. 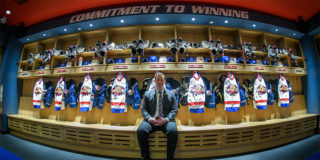 A native of Summerside PEI, this offensively gifted forward has caught the eye of many teams over the past year, landing him as a projected NHL selection. Coming off an impressive year in Moncton, the Assistant Captain led the team in both goals and points during the regular season. 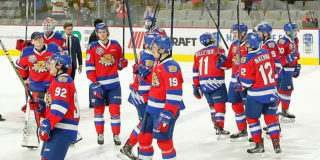 After 68 regulation games, Jeremy held the scoring title for the team with 36 goals, and finished 12th overall in the league scoring, as well as first in points for the Wildcats with 77, and finished 12th overall in the QMJHL. Nearly tripling his point production over last season, Jeremy’s game and point production ability have peaked the interest of NHL teams. His commitment to conditioning showed when he returned to camp last September, after putting in many hours and hard work over the summer, Jeremy came back to camp stronger and faster which helped contribute to his success on the ice this season. He has a great work ethic and compete in games, he is a pure shooter and a gifted goal scorer that has been turning heads here in Moncton. 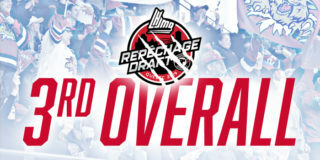 After being drafted by Moncton in the 2015 QMJHL Entry Draft, to date Jeremy has played in 134 QMJHL games, recording 52 goals and 51 assists for 103 points. We wish Jeremy all the best this weekend as we will watch the draft unfold from Texas. If you are interested in season tickets for the upcoming Wildcats season please call the office at 382-5555 or come see us at 377 Killam Drive. Home opener is set for Friday Sept 28th at 7:00 p.m. vs. the Saint John Sea Dogs as we kick off the 2018-2019 season in our new state-of-the-art rink in downtown Moncton!